Linda can help and support you during your difficult time of grief and help you to come to terms with your loss so you can adjust and eventually move forward, so call her today. If you have experienced the death of someone who was very important to you, you might be finding it very difficult to adjust to the immense changes happening in your life right now. Grief can shake everything up - your beliefs, your personality, and even your sense of reality. 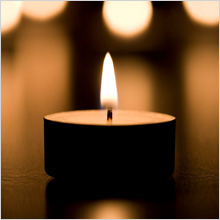 Bereavement counselling may be able to provide support during these very difficult times. Talking about the loss often allows a person to adjust to their new life with all its changes - good and bad. Keeping things bottled up or denying the sadness could prolong the pain. Any loss has to be acknowledged for us to move forward. Bereavement counselling tries to help clients find a place for their loss so they can carry on with life and eventually find acceptance. Today the word 'bereavement' is used to describe the period of grief and mourning we go through after someone close to us dies. Bereavement is about trying to accept what happened, learning to adjust to life without that person and finding a place to keep their memory alive while you slowly adjust to a life without them. The bereavement period can be a confusing time involving a lot of very powerful emotions. These emotions can grow, fade and shift as we move across the different stages of bereavement. Not everyone experiences the same stages of bereavement at the same time or in the same order. Bereavement counselling aims to get you to the point where you can function normally - however long it takes. One day, you may be able to find happiness again. By creating a place to keep the person you lost, and finding ways to remember them (like anniversary celebrations, or leaving flowers at a memorial site), you should be able to preserve their memory and honour the impact they had on your life, without letting their absence obscure your own future.